Home Blog What is Testosterone Injections Therapy? What is Testosterone Injections Therapy? When you’re feeling depressed and tired or you’re experiencing symptoms like erectile dysfunction or low libido, it can be easy to blame it on yourself and to give yourself a hard time. However, the truth of the matter is that it’s often the blame of something that is outside of your control. Testosterone levels can impact everything from our mood to our sexual performance. When testosterone diminishes within the body, low t symptoms can be hard to avoid. Anemia, weight gain, muscle weakness, and osteoporosis are just some of the many side effects associated with low testosterone, a condition that is common during the aging process. Fortunately, while getting older can’t be avoided, treatments now exist that can make the process much less stressful and emotionally draining. Today more than ever, men are saying “no” to low testosterone and to associated symptoms. They are taking the steps necessary to fight back by pursuing low t treatment options from a licensed medical doctor such as Dr. Berman. It’s through these testosterone injections that so many men have been able to embrace age gracefully while still enjoying many of the activities they loved in their youth. How Does Testosterone Injections Therapy Work? Prior to receiving testosterone injections therapy, it’s important to pursue a thorough physical examination and blood test to determine blood count as well as levels of key compounds and hormones, including testosterone, estrogen, prolactin, estradiol, and thyroid hormones. Without a blood test, it can be difficult to determine whether trt therapy is the best course of action. If it’s found that your testosterone levels are only slightly low, diet and exercise may be sufficient. However, if your levels are significantly below where they should be, Dr. Berman will speak to you about your trt treatment options, including testosterone injections for men. This low t treatment consists of injecting testosterone into the body through the use of small amounts of hormone that are calculated based upon the need of the individual patient. Of all doctor supervised testosterone treatments, testosterone injections for men have been shown to be the most effective. Since specific dosage can be calculated and administered, the odds of providing adequate hormone are greatly increased. When you’re dealing with symptoms such as erectile dysfunction, it’s easy to become desperate for a solution. However, it’s important to think carefully and to pursue professional care from a reputable clinic. At the office of Dr. Berman, you can rest assured that you will be cared for by a doctor who has significant experience treating endocrinological issues safely and effectively. He understands more than most the delicate hormonal balance that exists within the body. His goal is to ensure that all men, regardless of age, are provided the best treatment to ensure optimal functioning of the body and its many components. 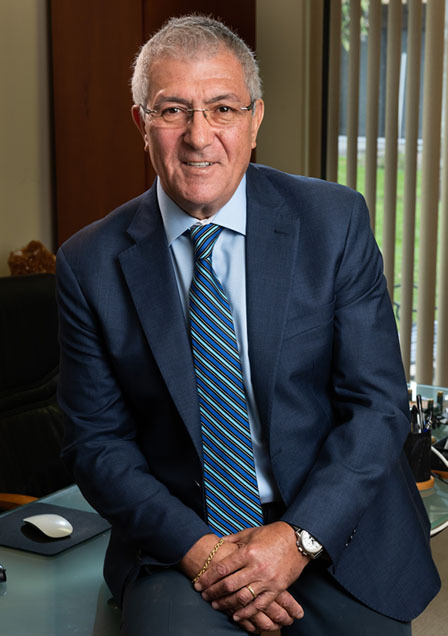 Everyone deserves to lead a full and happy life, and that’s precisely what Dr. Mikhail Berman hopes to offer his patients. Through his carefully developed testosterone replacement therapies, he aims to help all men in the Palm Beach Gardens area to experience relief from even the most stubborn symptoms of low testosterone. To learn more about testosterone therapy and to experience firsthand the many benefits it has to offer, give the office of Dr. Berman a call today at (561) 841-1837 to schedule a consultation. Can Low Testosterone Lead to Irritability?